Considered to be a major factor in land conservation by many environmentalists, adaptive reuse is simply reusing an old or abandoned site or building for something other than its original purpose. Defunct factories have become apartment buildings. Dilapidated barns have become stores. Abandoned churches have become restaurants. Warehouses have become offices. Gasometer City in Vienna, Austria is quite possibly one of the most successful examples of residential adaptive reuse in the world. The city’s gas plant was permanently closed after natural gas supplies took over. Four enormous gasometers — containers that are used to hold gas — at the abandoned plant were transformed into a “city within the city.” Although the brick exterior of the gasometers was left intact, each one was remodeled by a different architect. The area has become one of the most sought-after places to live in Vienna. One of the most popular tourist attractions in Great Britain, the Tate Modern Art Museum is the most-visited modern art gallery in the world. It just happens to be located on the premises of a former oil-fired power station. Although developers had plans for demolition, a campaign to save the station was successful, and the building was transformed. Turbine Hall, a 3400-square-foot space that once housed the plant’s main electricity generators, is now an immense gallery. There is no denying that the Tate itself is a true work of modern art. Dubbed the Nomadic Museum, Japanese architect Shigeru Ban’s creation has traveled from New York City to Santa Monica, California; Tokyo; and Mexico City. Originally made of shipping containers, the museum—which is used to house photography and film exhibitions—evolves as it travels and will transform in each new location it visits. The museum itself is a functional, creative part of the exhibition. While not as world-renowned as the places mentioned above, another fine example of adaptive reuse would have to be Santee, SC’s Lone Star Barbecue and Mercantile. Popular for its looks as well as its food, this gem is definitely one of a kind. Comprised of four country general stores that were connected with “passageways,” one store serves as the kitchen and buffet bar while the other three serve as dining areas. Just as its name implies, Nashville’s Union Station Hotel is housed in a restored railroad station. Located within walking distance from Nashville’s famous Music Row, the hotel is comprised of 125 unique guest rooms — no two are exactly alike. Union Station is close to some of the city’s most visited tourist destinations, but the hotel itself is popular with sightseers and amateur photographers. These are just a few of the many examples of commercial construction recycling found in the world today. 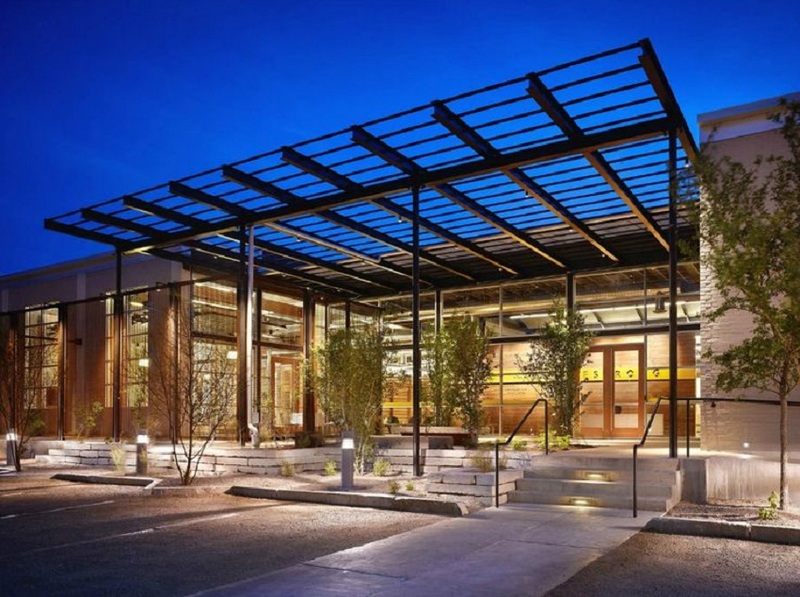 If going green is trendy, then adaptive reuse is recycling’s even cooler cousin!